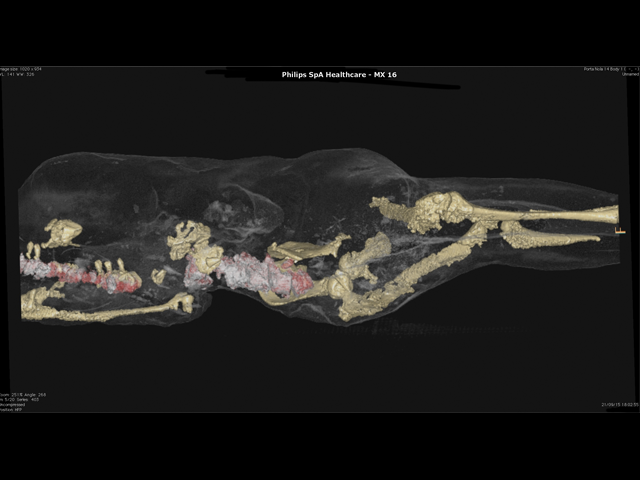 In Italy, a group of experts appointed by the Archaeological Superintendence of Pompeii are slowly bringing the ancient tragedy of Pompeii's volcanic eruption to life, one CAT scan at a time. 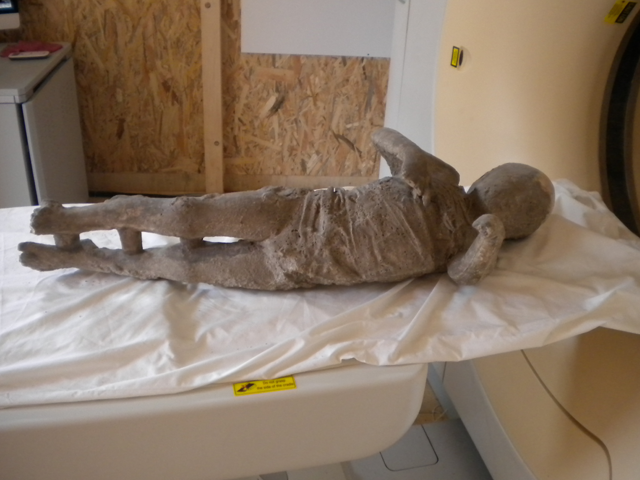 Archaeologists are working side by side with computer engineers, radiologists, and orthodontists, using cutting-edge imaging technology to scan the plaster-cast remains of 86 individuals who perished when the Italian city was decimated by a volcanic eruption in 79 CE. 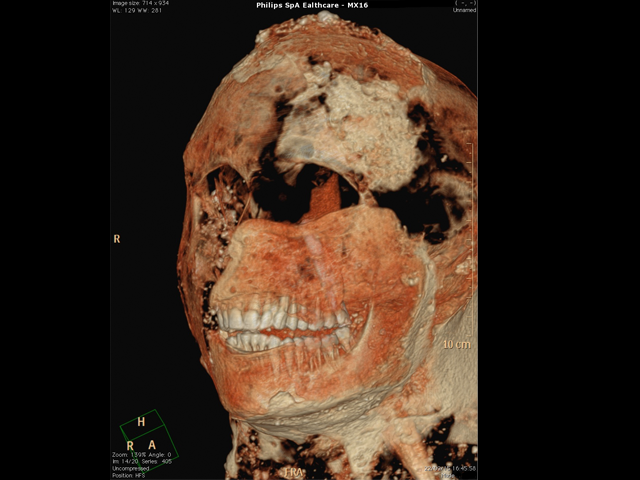 The scans, which provide a strikingly detailed look at the remains' teeth, bones, and facial features, are teaching the researchers more about Pompeii's residents—their gender, how old they were, what they ate, and whether they were in good health. 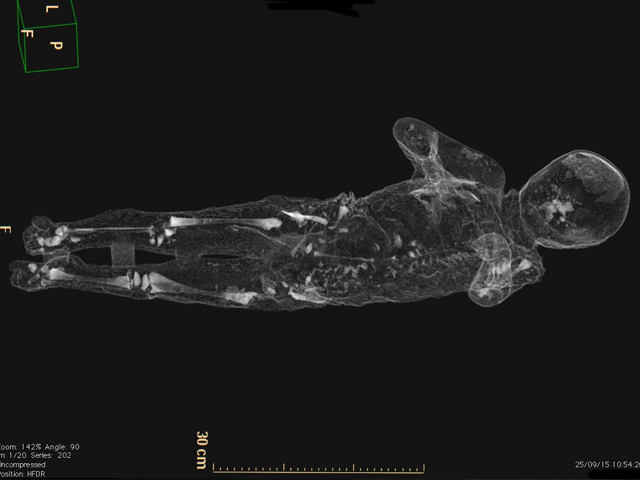 So far, researchers have scanned about 30 individuals. 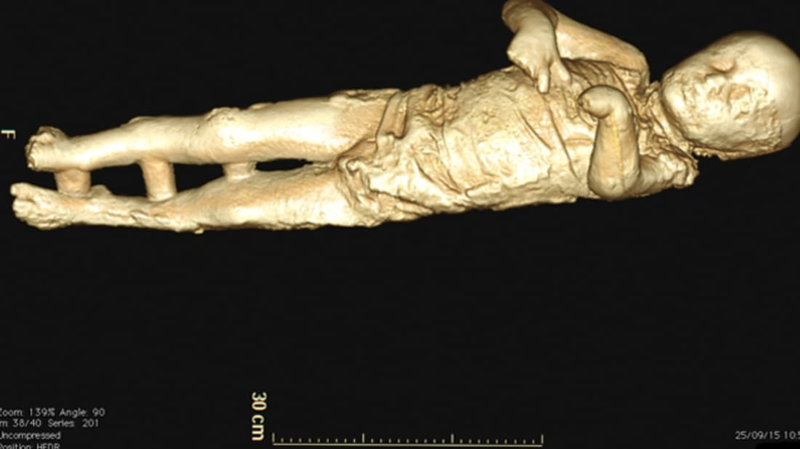 They recently shared their findings, revealing humanizing 3D pictures of the bodies beneath their plaster casts. The images include the remains of a presumed family: a 4-year-old boy, who was found resting near an adult man and a woman with an infant. Thanks to their teeth and bones, experts now know a little more about the victims’ lives—for instance, that they adhered to a diet rich in fruit and vegetables and had strong, healthy teeth thanks to fluorine in their local water source. A more sobering find: Many of them suffered severe head injuries, presumably from falling rubble during the eruption. Although an estimated 2000 people died in Pompeii, only 1150 individuals have been discovered since the mid 19th century, when archaeologists began finding bodies buried beneath layers of hardened pumice. Their flesh had decomposed, leaving behind entire skeletons encased in the ashy residue. 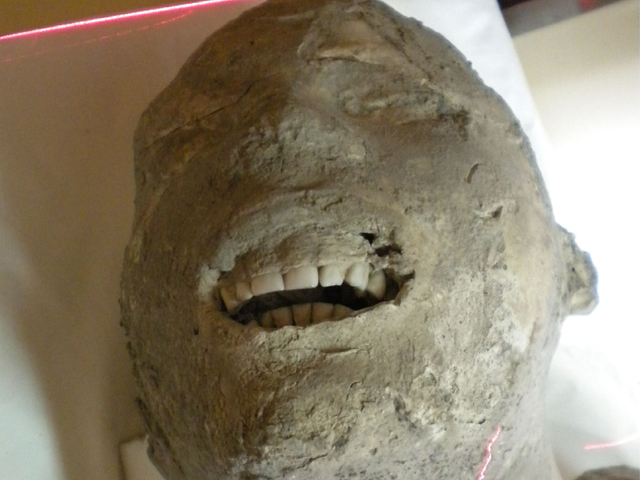 Researchers preserved the bodies' outlines by pouring plaster into the cavities, allowing the liquid to harden into a cast. So far, about 100 of these remains have been conserved, including skeletons from animals like a dog and a wild boar. 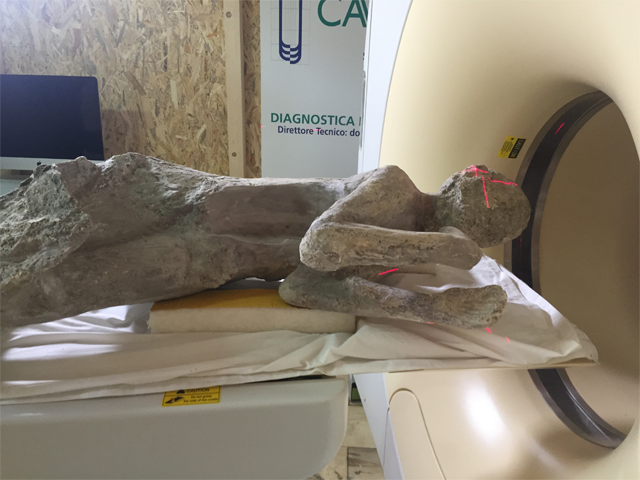 Twenty of the recently scanned casts are now on display at Pompeii. View photos of the research below.